Every single year I say I’m going to get a head start on my holiday shopping and not be seriously stressed as we get closer to the holidays. And then I never do. 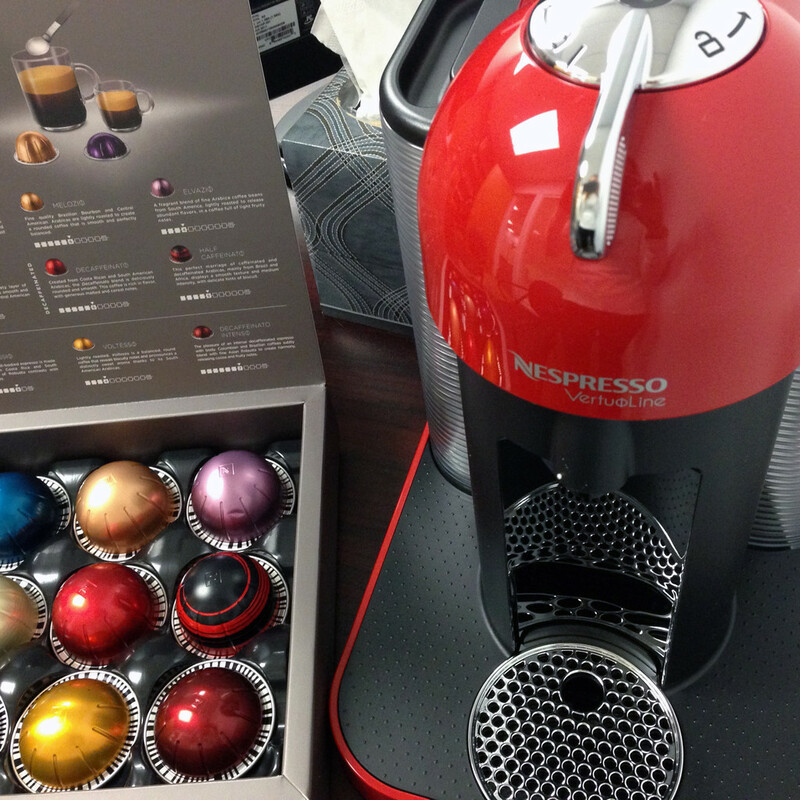 But this year, thanks to Nespresso and Sur La Table, I actually did! Nespresso has been seriously good to me over the past couple years and I can honestly say my regular workdays are made so much happier due to the fact that I have a Nespresso VertuoLine Machine sitting on my office desk and I’ve been starting each day with a large foamy coffee. So, when Nespresso and Sur La Table wanted to partner on a holiday feature, I was most definitely in. 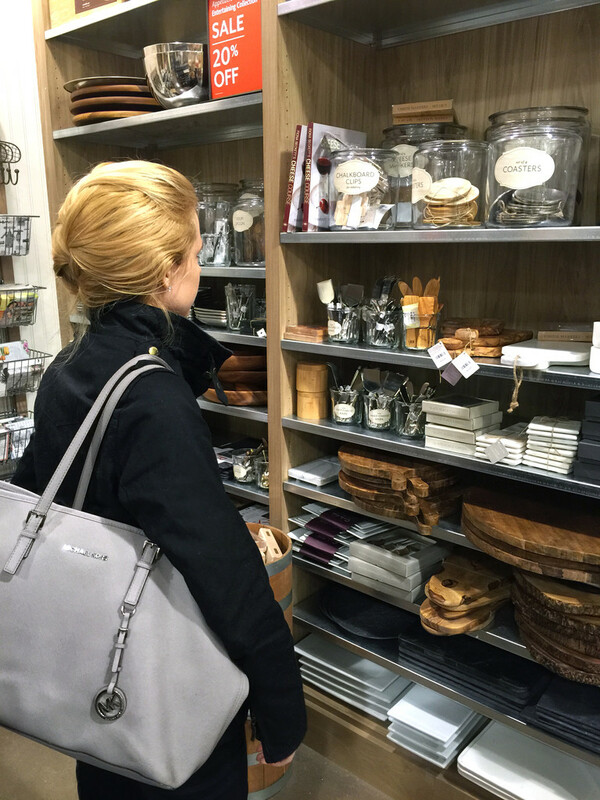 The challenge was a fun one… To start holiday planning by seeking out festive finds from Nespresso and Sur La Table. 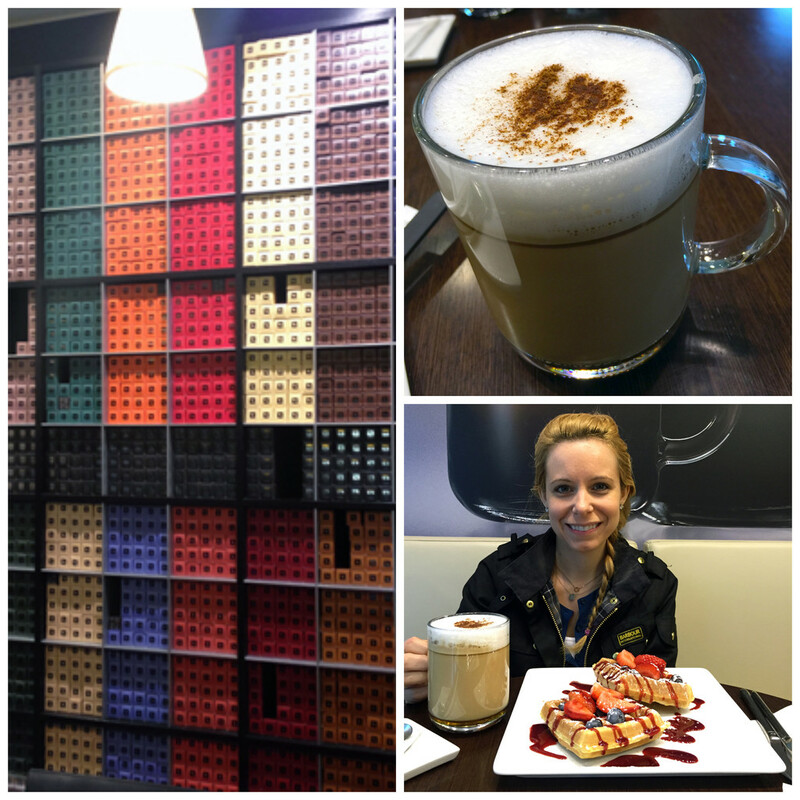 I started by day at the Nespresso Boutique on Newbury Street with a delicious meal to fuel my shopping day. The Nespresso November drink of the month is a Spiced Honey Latte and it was pretty much everything I dream about in a coffee. Must learn to make this one at home! I’m also in love with the wall of Grand Crus at the Nespresso Boutique. It was a gross rainy day, but the breakfast warmed me right up. 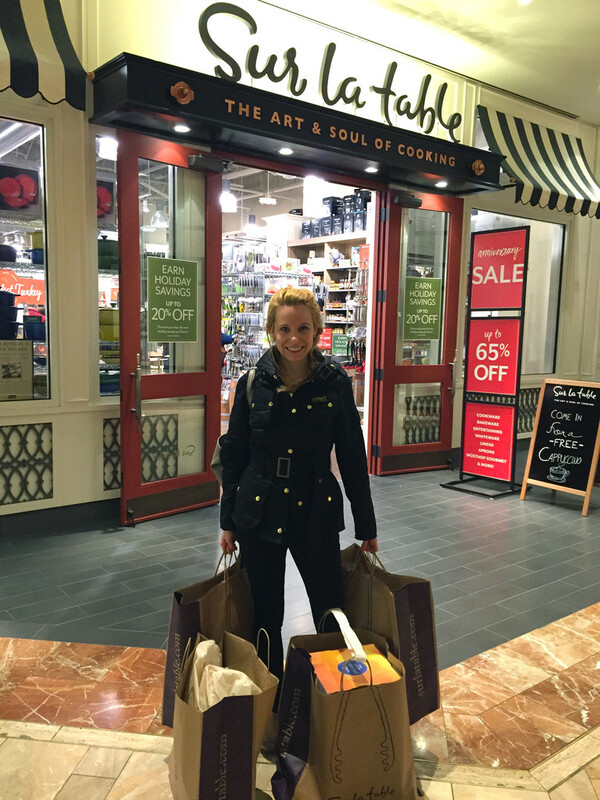 After browsing the boutique a bit, we were shuttled off to Copley to hit up Sur La Table. About two minutes in and I was seriously in the holiday spirit. Sur La Table was all decked out for my very favorite holiday, Thanksgiving! See that turkey right there? Yup, that is now sitting on my dining room table. 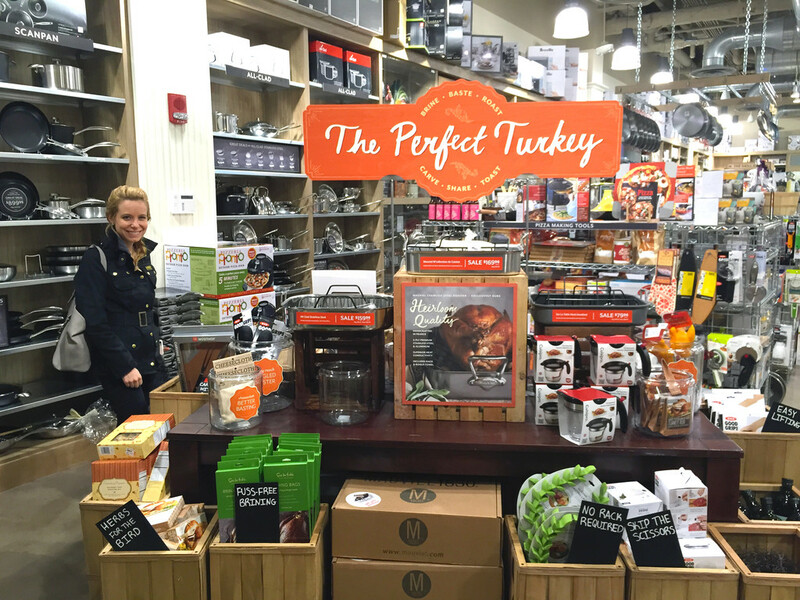 It took everything in me not to purchase that turkey platter, too. And those amazing napkin rings. Turkeys aside, I’m actually not one for ridiculous holiday decorations. I’m much more about taking everyday decor and putting a holiday spin on it. So, many of my festive finds can be used year-round. Again, aside from the turkey… though I’m going to have a hard time putting that sucker away at the end of the season. 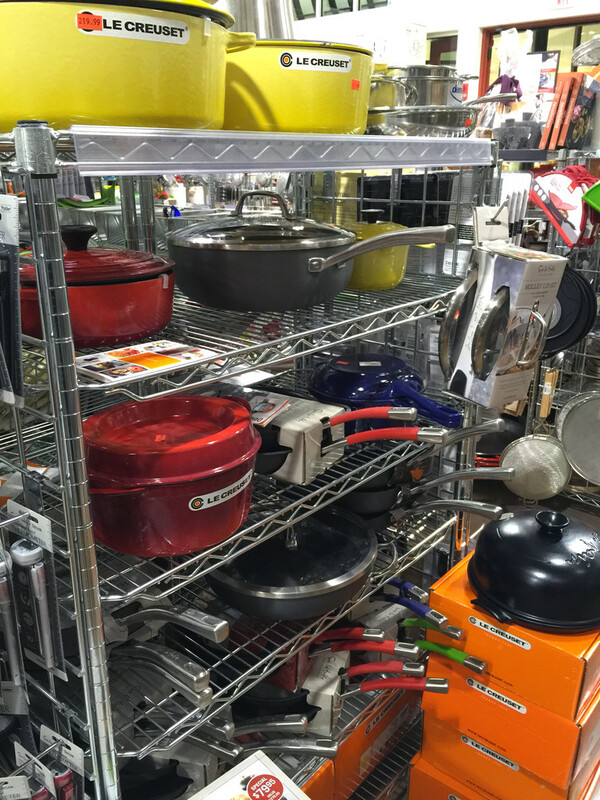 If you haven’t been to Sur La Table yet, you should know it’s a Le Creuset heaven. 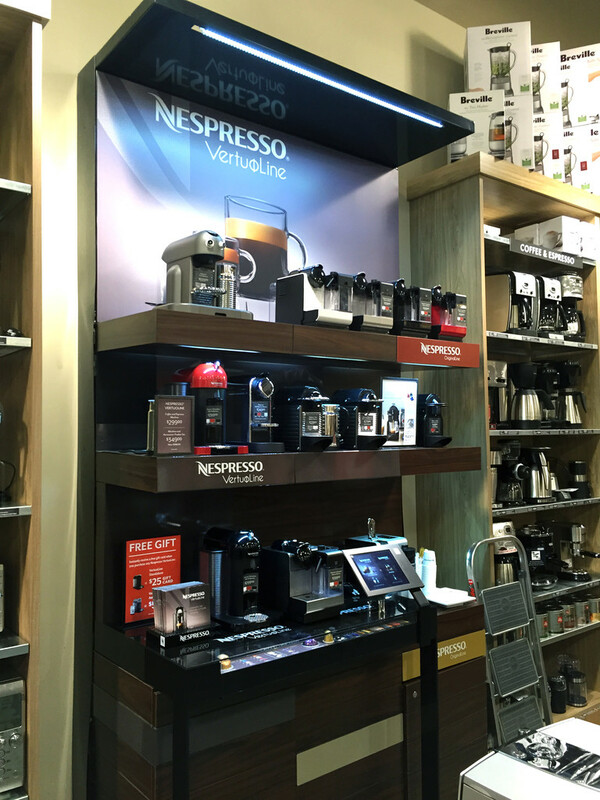 It’s a Nespresso heaven, too! While I was in the store, I heard at least 4 people inquire about Nespresso machines. Something tells me it will be the holiday gift of the year (I like to think I’m ahead of the times seeing that I bought my mom a machine for Christmas two years ago). I spent about two hours in the store and still don’t feel like I had a chance to look at everything. I was joking with the salesperson that I could never work there because I’d just stare at stuff all day and plan out what I was going to buy with my paycheck. 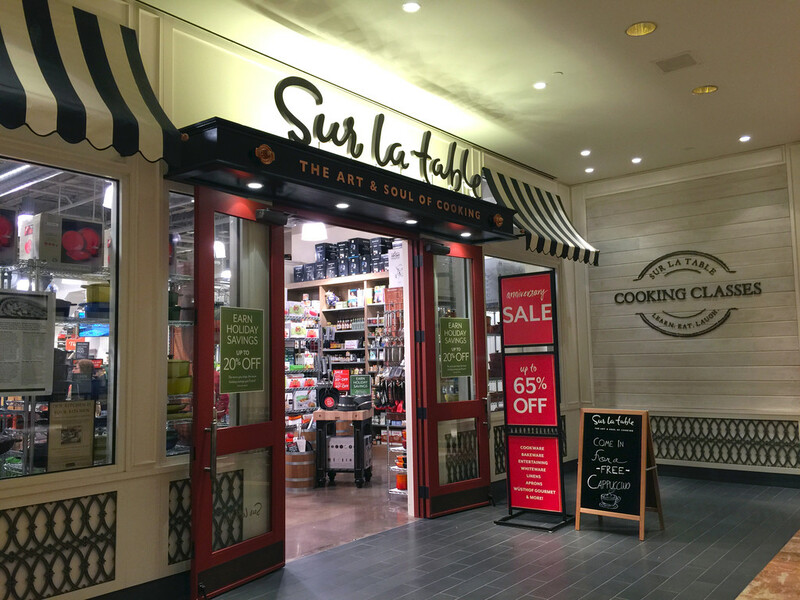 The Sur La Table in Boston’s Copley Plaza has an awesome kitchen where they teach hands-on cooking classes. Adding this to my to-do ASAP list! 1) Nespresso VertuoLine Machine. Of course! This is an every day item, but waking up to a Nespresso coffee on Christmas or Thanksgiving morning will make you SO happy. Plus, Nespreso has lots of seasonal recipes on their website, so you can totally get in the holiday spirit with your machine. 2) The Turkey. Enough said. 3) All-Clad Griddle. What goes best with coffee? Bacon, of course! This griddle will help you feed a holiday crowd. And you have a chance to win one at the end of this post! 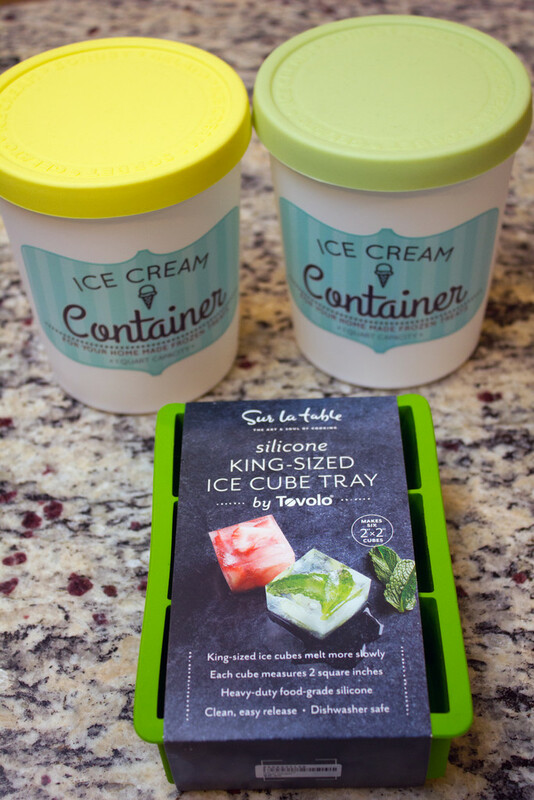 4) King-Sized Ice Cube Molds. These molds make HUGE ice cubes for holiday cocktails and I am envisioning cranberry and sage ice cubes being made in these. 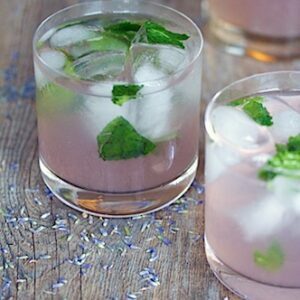 5) Beverage Jar. 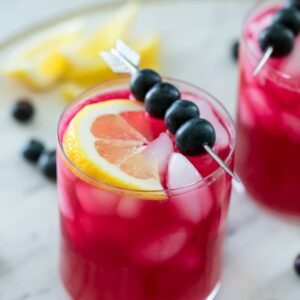 I’ll be whipping up batches of holiday cocktails for parties in this. 6) Marble Cake Stand. Red and green baked goods will stand out perfectly on this cake stand. Expect to see lots of this in future posts! 7) Ice Cream Containers. I actually make more homemade ice cream in the holiday months than I do in the summer because there are so many festive flavors. I can store homemade ice cream right in these containers. 8) Peppermint Crunch. One of my least favorite holiday “chores” is smashing candy canes for baked goods. King Arthur did it for me here. 9) Nespresso Capsule Drawer. I always have a ton of Grand Crus around and when I have people over for the holidays, I can now whip out this holder and let my guests choose their favorite. Plus this fits under the Nespresso Machine, so you can keep it out of the way, but still handy. I’ve already broke a few of my finds out and have started getting crafty in the kitchen. Though some may think it’s a bit early to get fully into the holiday season, I’m telling you these next few weeks are going to go by SO quickly. And I want to squeeze out every last bit of holiday joy that I can! And one last photo of the turkey on my table. Just because. Want to win an All-Clad Griddle so you can make a ridiculous amount of bacon and pancakes for your holiday guests? Leave a comment on this post telling me what you’d make on the All-Clad Griddle to serve alongside your morning coffee! Full Disclosure: Nespresso sponsored this post along with Sur La Table, but I think you can tell I’m a pretty huge fan of both brands and have been for a long time! All opinions are always my own! 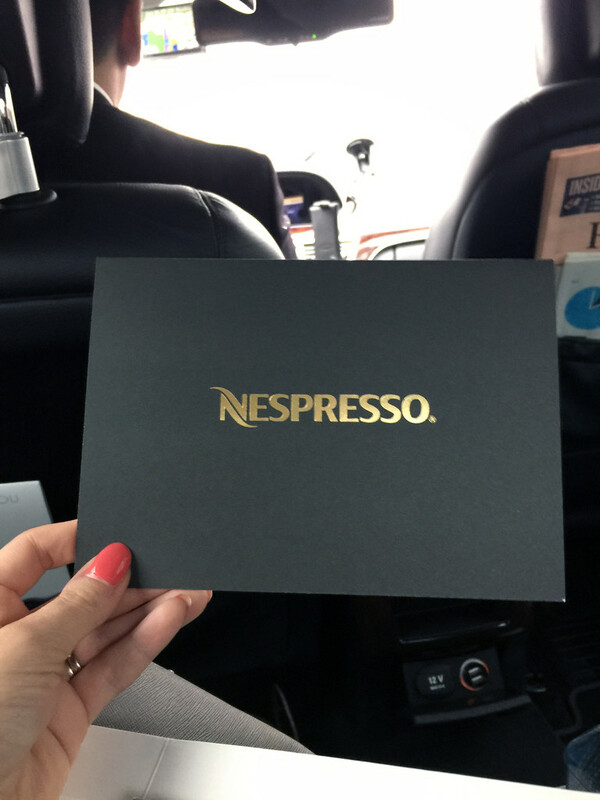 76 Responses to "Festive Finds with Nespresso (and a giveaway!)" Oh Gad, someone had to do it—-shop and drink coffee and eat. I am laughing. Fun stuff too. Right up my alley. I loved ALL of it. Well on my griddle I would be likely to be cooking little chicken sausages for my family crowd. I would love to have an All-Clad Griddle, I would be cooking ridiculous amounts of bacon! bacon, eggs and blueberry pancakes! I love this post! I would so make a ton of bacon!!! Bacon first, then eggs for a crowd! 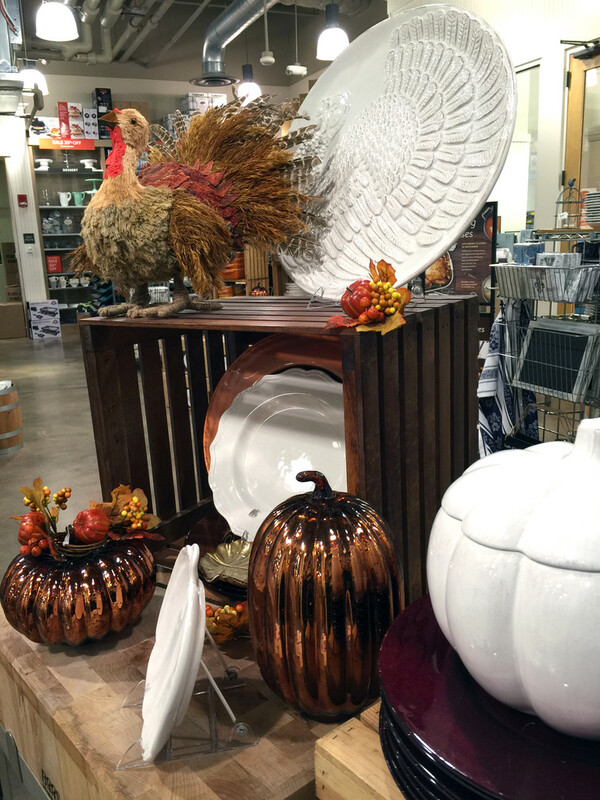 That turkey looks adorable on your table. 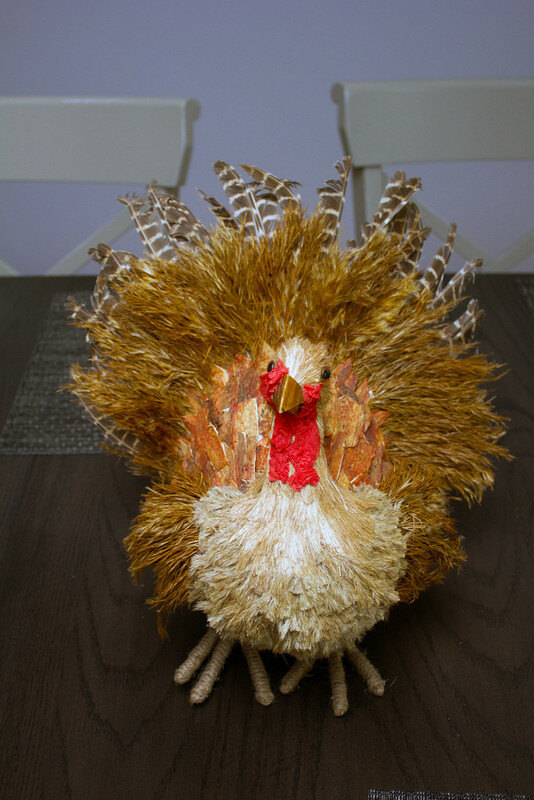 After Thanksgiving we could always put a Santa Hat on the Turkey. In the summer perhaps a Hawaiian shirt and sunglasses. I’ve been in the mood for pumpkin pancakes lately so would make a batch of those for the griddle. 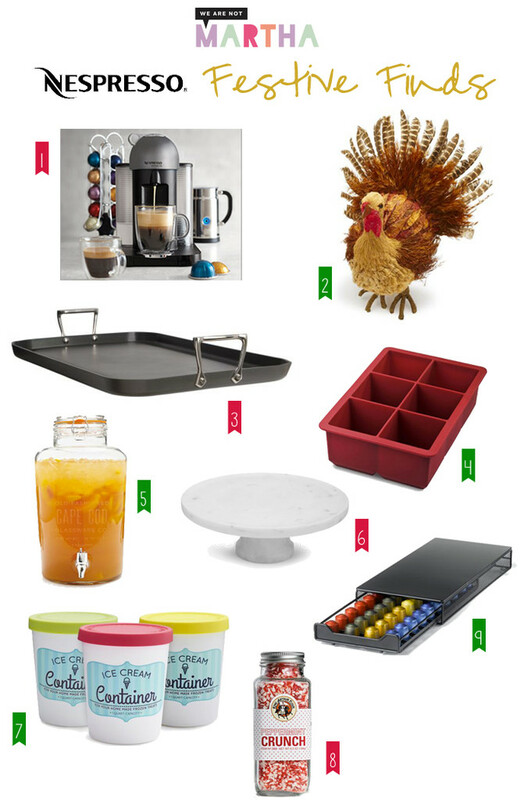 I’m a little behind on my holiday shopping this year and have a few things in mind from Sur La Table. I love that griddle and would love to make some the classic, bacon and eggs! 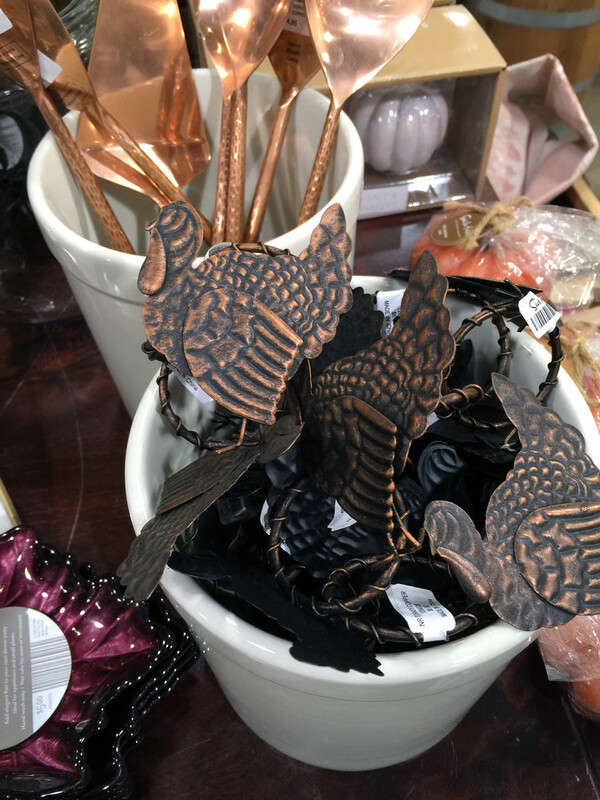 Sur La Table is one of my favorite stores! I could definitely spend all day in there. And that griddle looks fabulous! What a fun giveaway! What a fun shopping spree! I’d definitely use the griddle for grilled cheese sandwiches to go along with all the soup I’m planning on making this season. My boyfriend doesn’t believe that soup on its own constitutes a full meal, so a perfectly grilled cheesy sandwich alongside is a must! Ok sign me, I want everything in this post. Seriously. SQUEALS! Pancakes made from scratch for my grandchildren. Pancakes shaped like planes and trucks and gingerbread men and mickey mouse…. Pumpkin Pancakes and a ridiculous amount of bacon. I have so many things to make on this. Pancakes will be made the most I’m sure. Is love to watch my husband make me some orange cranberry pancakes on that griddle! Talk about being in holiday spirit! Oh, I can see pancakes. 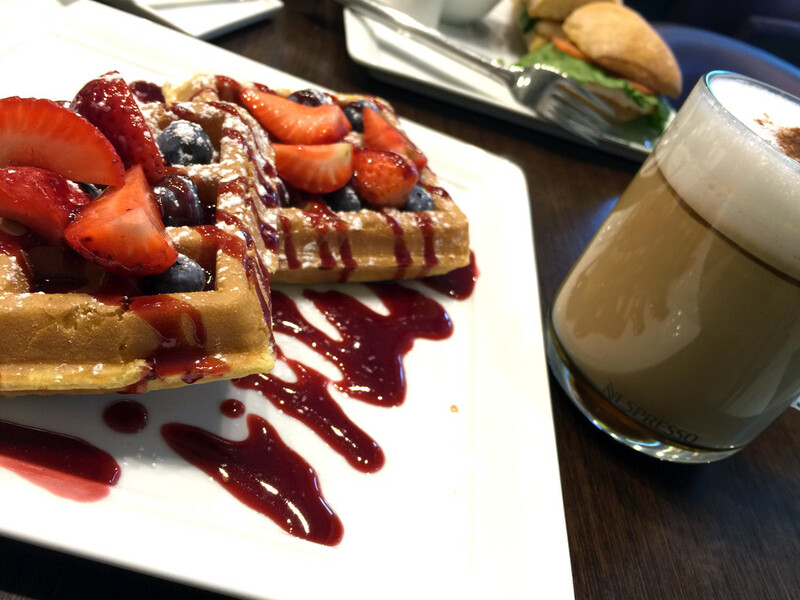 Pumpkin pancakes, blueberry pancakes, nutty pancakes…. Johnny cakes and bacon! Great post, love Nespresso, too. I would surely be making your pumpkin choc chip pancakes on that griddle! I have been making (and sharing!) that recipe since you posted it. And I do think it’s ok to make pumpkin pancakes all year long!!! French toast. Lots and lots of french toast. I’d whip up some mean breakfast sandwiches, eggs and bacon on there!! I am thinking big thick slices of Brioche French Toast along with some thick-cut bacon! Bacon of course! And maybe some grilled fruit! Oh I would totally make a breakfast skillet- tofu scramble with roasts veggies and goat cheese. Along with yummy breakfast coffee to go with it! Love french toast, maybe wtih some apple butter on top! I’d make my Mother’s recipe for potato pancakes…….she made the best ever! I’d make pumpkin pancakes. We enjoyed these festive pancakes when we made them a couple of years ago and now that we have a toddler, I think she’d love them, too. Oh man…I need this All-Clad Griddle in m life! I would make delicious pumpkin pancakes for my fiancé and I! Yum! No coffee for me, I know I’m weird!! But, I would totally make a huge batch of French toast!! I’d make buttermilk pancakes! And Iove my nespresso machine! Got me through the first year of parenthood! I’d love to win – I would be making pancakes and bacon on that griddle! Wait ’til you have children and you will never again underestimate the sheer volume of chocolate chip pancakes you will make in one lifetime! I’d love to win – maybe I could feed the lot of them in one batch! My family all has different breakfast favorites, so this griddle would be great. It is large enough I could do french toast, pancakes, bacon, and an egg and everyone will be happy and eating at the same time. I would definitely whip up some pancakes. Jeff complains that I don’t make pancakes enough. By the way, your coat is adorable! I can’t tell you what Mr. Boddy would reaaally do with the All-Clad Griddle, but let’s just say bacon. Lots and lots of bacon. Blueberry lemon pancakes with a side of bacon, yum! I SO need to stock up on Nespresso pods! that griddle is awesome! I’d make fried eggs and bacon. what a cool shopping experience. nespresso treats you right! I would make eggnog pancakes and turkey bacon. Oh gosh, what a perfect thing that griddle is. I would make some blueberry pancakes and some bacon on it. I love Sur La Table! Could spend hours in there. What fun shopping with you today! Great giveaway too! french toast and grilled cheese would be great for this griddle! Yummy. We have a Saturday pancake tradition that would be vastly improved by a good griddle! Pumpkin pecan pancakes — ’tis the season! My son and I make pancakes every Saturday, and this would cut down on the cooking time! The griddle of my dreams! My husband and I recently went Paleo to accommodate my food allergies- this griddle would be a staple in our kitchen! 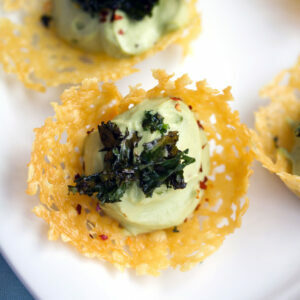 My goal is to make Paleo versions of all the amazing yumminess on WANM!! How fun!! Yes, I can easily spend an hour there just looking around. I’d make pancakes with chocolate chips! Cranberry orange pancakes with a big side of bacon. 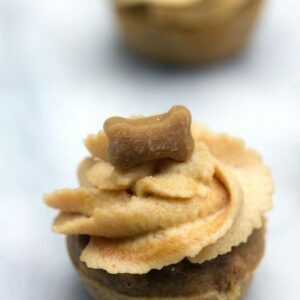 Yum!! 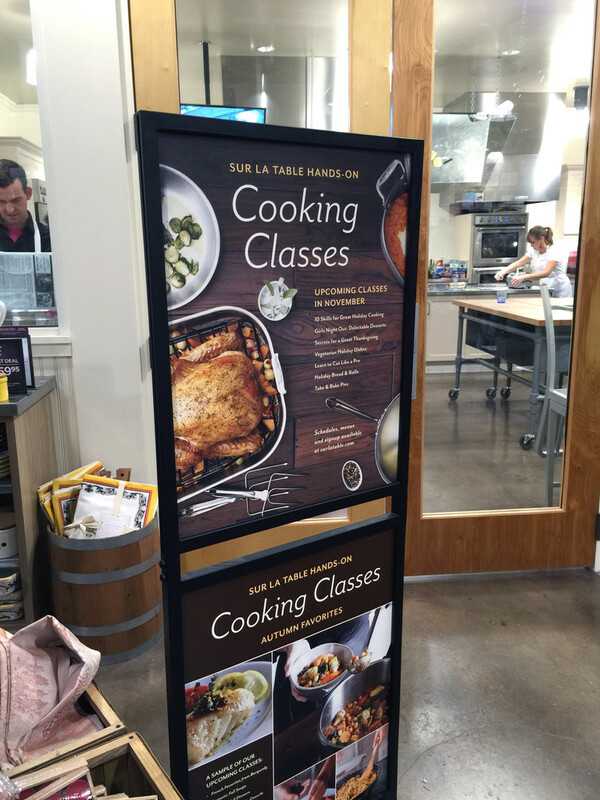 Okay, I need to head to Sur La Table ASAP. Also, I need a nespresso in my life. Love everything about this post because I bought a Nespresso Inissa a few months ago and am in love (and can only imagine visiting the store on one of my favorite streets in the world 🙂 And of course Sur La Table is the da bomb. I have this griddle pan and I use it every weekend to make pancakes. BTW, I see nothing wrong with keeping that turkey out year round. CUTE coat! What a fun experience. I’d like to use the griddle for lots of bacon with a morning Nespresso drink! I would make a fantasic batch of pancakes on that griddle. Every Saturday. Yes, please! Bacon and eggs for sure! Sweet potato pancakes and bacon for sure! My kids love pumpkin pancakes with cinnamon spiced apples on top!